Friedlander, Benjamin. 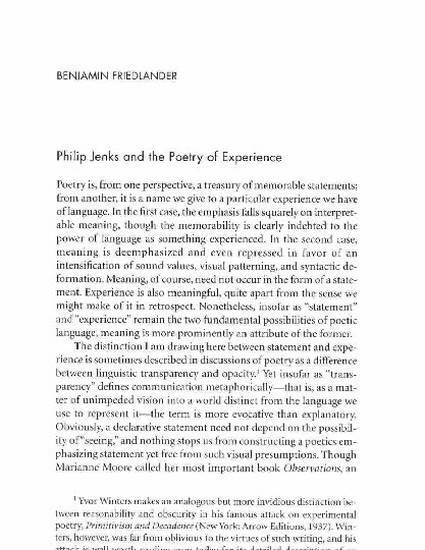 "Philip Jenks and the Poetry of Experience." Chicago Review 48.4 (2002):65-81.